Morgan recently graduated from the University of Saskatchewan with a B.Sc. in Environmental Earth Science with a minor in Water Science. 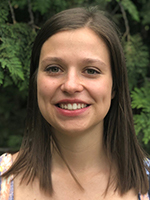 Previously, Morgan worked as a research assistant at the Centre for Hydrology over the summer of 2017. This work experience allowed her to gain knowledge in GIS software, hillslope hydrology and hydrological field methods.